Home » Posts tagged with "davao cyber expo at SM Davao Annex"
Another tech event is happening this July at the SM Annex: Davao Cyber Expo 2012. This event will give all computer and Internet geeks – and online gamers – an opportunity to gather together in one place to enjoy and to share among themselves the latest in the cyber world. 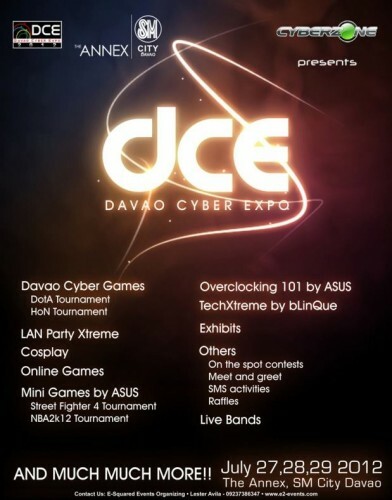 There will be tech exhibit, DOTA tournament, cosplay, on the spot contests, live bands, and a whole lot more.